Taylor can’t get enough of writing stories(not always real words) and creating lists right now and even had to work on a story while we played in the backyard the other day. It’s getting harder to take her picture before she realizes what I’m doing and poses. She was working so hard on a story about pirates and then made a map for her and Lizzie to follow to find treasure in the backyard. Little did she know that to me, her creative stories and playing so nice with Lizzie is worth more to me than any treasure she might have found. Sometimes even a much needed nap wins out over a yummy sucker. And for those of you who know Lizzie and know her love for candy know I was shocked to look back and see this. Lizzie never turns down a chance for candy and often asks for dessert even after breakfast. And yes that is some road rash on her nose. Poor thing fell while running on the sidewalk. “Mom would you quit taking my picture? Sadie and I are hunting birds and you are being too loud.” Mom lessoned learned. Never mess with a girl, her dog, and their bird hunting. I know we are already 11 days into the new year, but I always like to make some kind of goals for myself each year. Maybe if I post them on here I will actually follow through with a few. I know most people do the normal lose weight, eat healthier, exercise more and so on. I like these and will try a few but I think my personal goals this year are to complete some craft projects. 1. 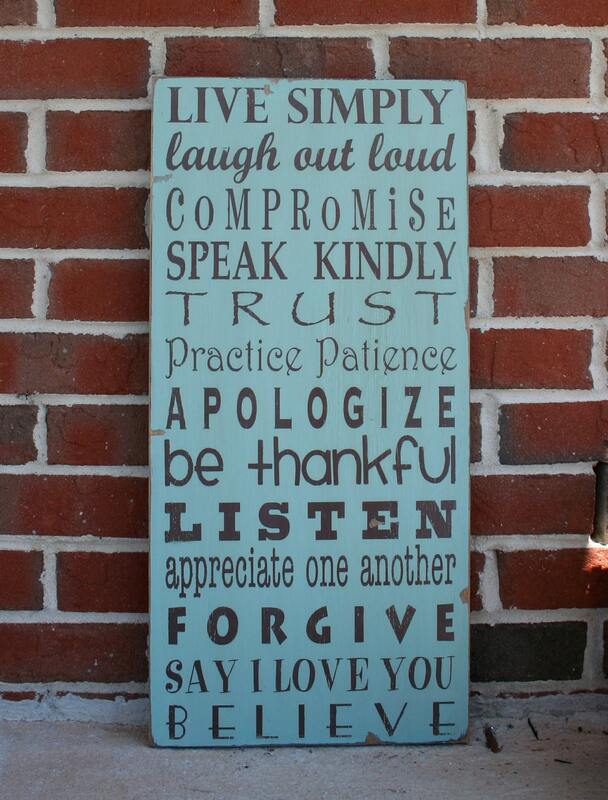 Home Rules: I love the new trend of subway art home/family rules. I know it would be easy to just order one from Very Jane or one of the other cute sites, but I want it to be more personal. So I hope to make our own version. 2. Sew my first quilt: I’ve always wanted a great picnic blanket and immediately fell in love with this fabric. I bought all the fabric and it is starting to gather dust in my craft room. Fabric this cute needs to be sewn and preferably in late winter/early spring so it is ready for movie nights in the park, spring soccer games, and maybe a trip to the beach. 3. Make a digital book of Taylor and Lizzie’s artwork. I know this isn’t technically sewing or crafting, but 2.5 years of preschool artwork is taking up some serious space under my craft room table. I need to get a handle on this before Taylor starts elementary next year and the paperwork doubles. Have you done this and had any success? 4. Paint our front door and add vinyl numbering to it. 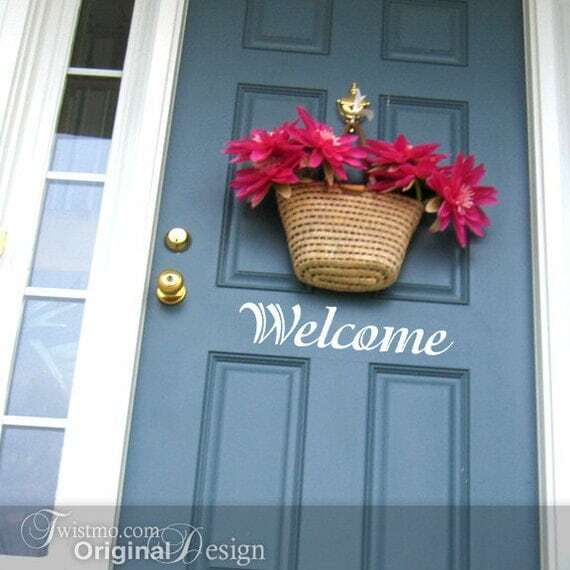 Our door is just a boring blue, so I think a fun color would dress up our front porch. Now to figure out what color! 5. Purge from my craft room. I know this might seem like madness, but I have accumulated too much over the past 10 years in this house and have too much stuff. So this is my fair warning to my friends that you might get random texts of “Do you want any of this?” during 2013. Lizzie will soon be needing a spot at the craft table and there’s barely room for me and Taylor. 6. Officially write up the two knitting patterns that I created. This includes bribing friends with little bitty babies to let me use them for photos. Six sounds like a good stopping point and gives me at least 2 months to accomplish each goal. If I can get all these done, then I will add to my list. Who knows, maybe I’ll even finish more than one craft every four months and actually blog about it. What are your goals for this year? Any projects you want to finally complete? This kid could live outside, especially if it included being pushed in a swing the majority of the time. With the past few days of rain, Taylor was my ray of sunshine when I stumbled across this picture. Hope she brightens your day too! No one told me having a kid meant built in entertainment and Lizzie provides that entertainment on a daily basis. Everything from her tantrums to her huge belly laughs and funny words keep me on my toes. She is even in the process of practicing her scared, surprised, angry, and happy faces in case she picks a career in acting. I love when the kids beg me to take them outside and then I turn around to see this. I thought that was my spot??? ?